Madison Gas & Electric Co. and Focus on Energy, Wisconsin’s statewide program for energy efficiency and renewable energy, presented TEAM Companies, a TDS company, with a check for $114,972 after installing a high efficiency chiller, integrated water side economizer, high efficiency UPS system, and efficient air distribution system at it’s new data center in Fitchburg, Wisconsin. By completing this project, TEAM saves more than 2,347,491 kilowatt-hours of electricity-enough energy to power 235 Wisconsin homes for a year. The data center will also benefit from a $187,784 savings on its energy bills annually. The data center’s cooling plant includes a high efficiency 550 ton chiller with a Variable Frequency Drive to improve partial load performance. The system uses an integrated waterside economizer to reduce the run hours and electrical load on the chiller by taking advantage of low ambient outside air temperatures for ‘free cooling.’ The electrical system includes high efficiency Uninterruptible Power System (UPS) units with an Energy Saver System (ESS). The UPS units operate at a higher efficiency than standard UPS units and the ESS mode allows the UPS units to achieve a very high efficiency by eliminating conversion losses. The design of the air distribution system is such that the total static pressure requirement is lower and the horsepower requirements are reduced relative to the original design. ‘While the data industry as a whole is just now becoming green, we’ve chosen to be green from the beginning. We know the number one consideration when building a data center is power and cooling. Working with the industry’s leading suppliers, our team is able to offer centers that utilize every opportunity to conserve data center power and improve cooling efficiencies,’ comments Hank Koch, director of Infrastructure Service, TEAM Companies. Not only do these upgrades save energy and money, but they’re also environmentally friendly. The annual environmental benefits are equivalent to offsetting [3,764] barrels of oil from being burned – eliminating more than  metric tons of carbon dioxide (CO2) from being released into the atmosphere. ‘In the highly competitive and energy intensive data center industry, controlling costs is a top priority. Cutting edge, energy efficient equipment, coupled with innovative HVAC design will provide better systems control and help TEAM realize immediate and future energy savings,’ said Robert Maney, senior account manager at Madison Gase & Electric Co.
Focus on Energy can help businesses and residents across the state identify and evaluate energy-saving opportunities, provide specific recommendations, develop energy management plans, and arrange technical training opportunities about energy conservation. For more information, call 800.762.7077 or visit focusonenergy.com. About Team Companies, a TDS company TDS Telecommunications Corp. (TDS) is the seventh largest telecom provider in the U.S. For more than 40 years, the company has been connecting people with high-speed Internet, phone, and TV entertainment services in hundreds of rural, suburban, and metropolitan communities across 31 states. Today, TDS has more than 1.1 million equivalent access lines in service and 2,700 employees. Business customers select from the latest technologies, including: VoIP (managedIP) phone service, dedicated Internet, data networking, and hosted-managed services. Visit www.tdstelecom.com or www.tdsbusiness.com for more information. TDS Telecommunications Corp. also manages the operations of VISI Incorporated, TEAM Technologies, and OneNeck IT Services Corp. through TDS Hosted & Managed Services, LLC. These companies employ more than 350 people who specialize in providing hosted application management, managed hosting, cloud services, and next generation data centers. Visit www.visi.com, www.team-companies.com, and www.oneneck.com for details. TDS Telecommunications Corp. headquartered in Madison, Wis. is a wholly owned subsidiary of Telephone and Data Systems, Inc. [NYSE: TDS]. A Fortune 500 company, Telephone and Data Systems provides wireless, local and long-distance telephone and broadband services to approximately 7 million customers in 36 states through TDS Telecommunications Corp. and U.S. Cellular [NYSE: USM], its majority owned wireless subsidiary. Founded in 1969 and headquartered in Chicago, Telephone and Data Systems employed 12,300 people as of March 31, 2012. Visit www.teldta.com for investor information. 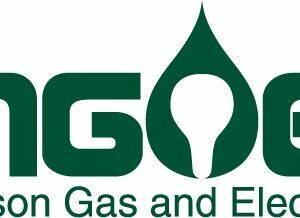 About Madison Gas & Electric Co.
MGE Energy is a public utility holding company. Its principal subsidiary, Madison Gas and Electric (MGE), generates and distributes electricity to 139,000 customers in Dane County, Wis., and purchases and distributes natural gas to 144,000 customers in seven south-central and western Wisconsin counties. MGE’s roots in the Madison area date back more than 150 years. About Focus on Energy Focus on Energy is Wisconsin utilities’ statewide energy efficiency and renewable resource program funded by the state’s investor-owned energy utilities and participating municipal and electric cooperative utilities. Focus on Energy works with eligible Wisconsin residents and businesses to install cost-effective energy efficiency and renewable energy projects. Focus on Energy information, resources and financial incentives help to implement projects that otherwise would not be completed. Its efforts help Wisconsin residents and businesses manage rising energy costs, promote in-state economic development, protect our environment and control Wisconsin’s growing demand for electricity and natural gas. For more information call 800.762.7077 or visit focusonenergy.com.